Technically, the title for this article should read: The steady decline of full-time jobs as a percentage of the labor market due to unregulated capitalism and the growing sophistication of digital and mechanical automation. Good luck getting anyone to click on that! This chapter of the Future of Work series will be relatively short and direct. We’ll discuss the forces behind the decline of full-time jobs, the social and economic impact of this loss, what will replace these jobs, and what industries will be the most affected by job loss over the next 20 years. If you’ve worked in retail, manufacturing, leisure, or any other labor-intensive industry, you’re probably familiar with the standard practice of hiring a large enough labor pool to cover production spikes. This ensured companies always had enough employees to cover large production orders or handle peak seasons. However, during the rest of the year, these companies found themselves overstaffed and paying for unproductive labor. Luckily for employers (and unluckily for employees depending on a steady income), new staffing algorithms have entered the market allowing companies to drop this inefficient form of hiring. Whether you want to call it on-call staffing, on-demand work, or just-in-time scheduling, the concept is similar to the one used by the innovative taxi company, Uber. Using its algorithm, Uber analyzes public taxi demand, assigns drivers to pick up riders, and then charges riders a premium for rides during peak taxi usage. These staffing algorithms, likewise, analyze historical sales patterns and weather forecasts—advanced algorithms even factor in employee sales and productivity performance, company sales targets, local traffic patterns, etc.—all to predict the exact amount of labor needed during any given time range. This innovation is a game changer. In the past, labor costs were viewed more or less as a fixed cost. Year-to-year, the employee headcount may fluctuate moderately and individual employee pay may rise moderately, but overall, the costs remained largely constant. Now, employers can treat labor much like they would their material, manufacturing, and storage costs: buy/employ when needed. The growth of these staffing algorithms across industries has, in turn, driven the growth of yet another trend. In the past, temp workers and seasonal hires were meant to cover the occasional manufacturing spikes or holiday retail season. Now, largely due to the staffing algorithms outlined above, companies are incentivized to replace large swathes of previously full-time labor with these kinds of workers. From a business perspective, this makes total sense. In many companies today the surplus full-time labor described above is being hacked away, leaving a small, hollowed out core of vital full-time employees supported by a large army of contract and part-time workers who can be called in only when needed. You can see this trend most aggressively applied to retail and restaurants, where part-time staff are assigned tentative shifts and notified to come in, sometimes with less than an hour’s notice. Currently, these algorithms are being applied largely to low-skilled or manual jobs, but given time, higher skilled, white-collar jobs will be affected as well. And that’s the kicker. With each passing decade going forward, full-time employment will gradually shrink as a total percentage of the labor market. The first bullet is the staffing algorithms detailed above. The second bullet will be the computers and robots described in later chapters of this series. Given this trend, what impacts will it have on our economy and society? This flexible economy is a boon for companies looking to shave off expenses. For example, shedding excess full-time workers allows companies to cut their benefit and healthcare costs. The trouble is that those cuts need to be absorbed somewhere, and chances are it will be a society that picks up the tab for those costs companies are offloading. Benefiting from employer-aided pension/retirement plans, thereby adding costs to the collective social security system. Contributing to the unemployment insurance system, making it harder for the government to support able-bodied workers in times of need. Benefiting from continuous on-the-job training and experience that makes them marketable to current and future employers. Being able to buy things in general, lowering overall consumer spending and economic activity. Basically, the more people working less than full-time hours, the more expensive and less competitive the overall economy becomes. Three times as likely to delay having kids. These workers also report an inability to plan family outings or household activities, maintain a healthy social life, care for their elderly, and effectively parent their children. Moreover, people working these types of jobs report earning 46 percent less than those working a full-time job. Companies are treating their labor as a variable cost in their quest to transition to an on-demand workforce. Unfortunately, rent, food, utilities, and other bills aren’t variable for these workers—most are fixed month-to-month. Companies working to brush off their variable costs are thus making it harder for workers to pay their fixed costs. 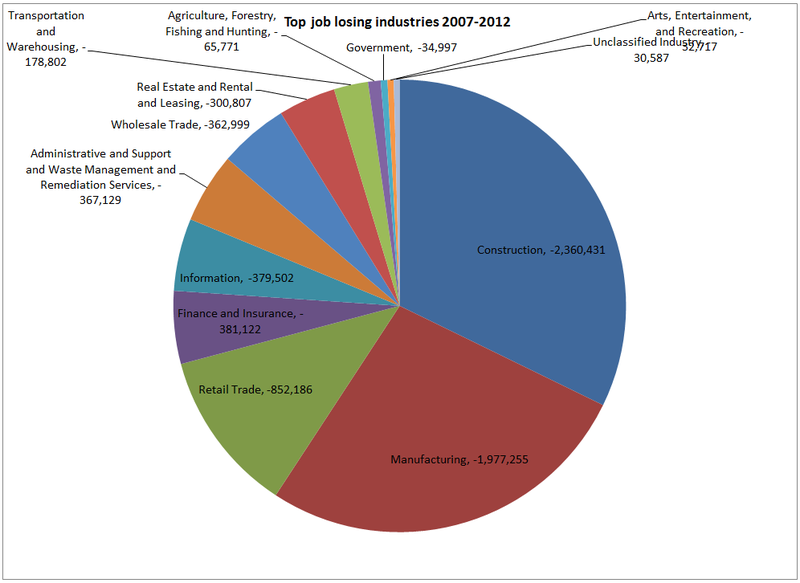 Currently, the industries most affected by staffing algorithms are retail, hospitality, manufacturing, and construction (roughly a fifth of the labor market). They’ve shed the most full-time jobs to date. By 2030, advances in technology will see similar shrinkages in transportation, education, and business services. With all these full-time jobs gradually disappearing, the labor surplus created will keep wages low and the unions at bay. This side effect will also delay expensive corporate investments into automation, thereby delaying the time when robots take all our jobs … but only for a while. For the underemployed and for those currently looking for work, this probably wasn’t the most uplifting read. But as hinted at earlier, the next chapters in our Future of Work series will outline which industries are set to grow over the next two decades and what you’ll need to do well in our future economy. The best way to nab your dream job out of college?